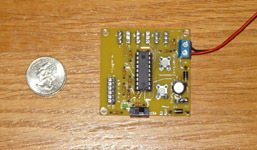 The servo board will allow you to motorize up to 6 servo motors for opening and closing doors, panels, etc. using standard pushbutton switches. It can be integrated into props like the Zorg ZF-1 gun, R2-D2 dome panels, etc. 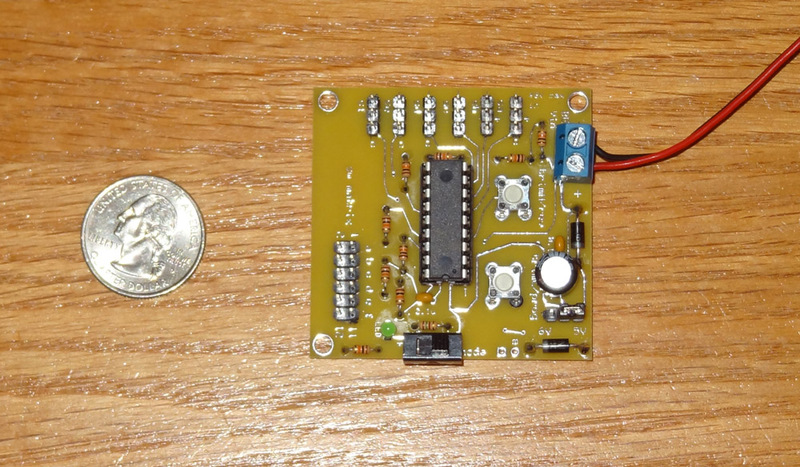 The board takes in 5-6V DC to run the processor and servo motors. For high-current servos, it is best to use a BEC. Small size: 2" x 2"